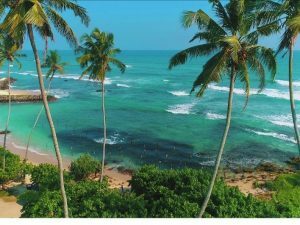 The Sri Lanka Tourism Promotion Bureau (SLTPB) has announced a new brand identity under the platform ‘So Sri Lanka’ which targets millennial travellers who select holiday destinations based on what they can hope to experience there. Revealed at World Travel Market in London, the new brand platform is grounded on the insight that Sri Lanka is more than just a destination, it’s a feeling. The brand platform has a contemporary, social and engaging design to reflect the heart and individuality of the country. It will roll out across all tourism promotion materials in a multi-channel, international campaign starting early next year. Madubhani Perera, Director—Marketing, SLTPB, says “There has never been a better time for a rebrand. Sri Lanka has just been named Lonely Planet’s Number One Destination for 2019. For us ‘So Sri Lanka’ symbolises our evolution with the digital revolution. The modern traveller goes online to seek inspiration and to find the next life-changing travel experience. ‘So Sri Lanka’ helps us evoke the inimitable feeling of our beautiful, vibrant, authentic and generous country through the smartphones of potential travellers.” Sri Lanka is the essence of a people renowned for their hospitality, a stunning landscape, rich biodiversity and a wealth of immersive experiences on offer for travellers. The rebrand marks the start of Sri Lanka’s fresh approach to destination marketing. 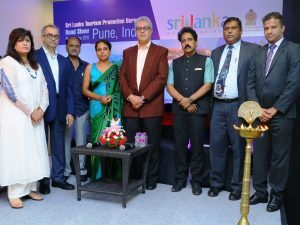 The Sri Lanka Tourism Promotion Bureau recently conducted a roadshow for the travel trade and wedding planners in Mumbai, with an aim to increase footfalls to the emerald island. 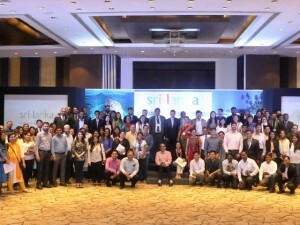 The roadshow saw an attendance of 27 participants from Sri Lanka comprising leading travel companies and hoteliers besides the national carrier, SriLankan Airlines. Speaking about India as a market, Madubhani Perera, Director of Marketing, Sri Lanka Tourism Promotion Bureau, who attended and addressed the gathering said, “We have seen an annual rise in arrival numbers from India over the years. The roadshow was conducted to increase destination awareness and highlight the new attractions in Sri Lanka. We hope this event will add a positive impact and further increase Indian footfall in Sri Lanka. We have now planned several promotional activities for Indian markets.” Apart from the roadshow in Mumbai, the SLTPB has plans of conducting roadshows in Chennai, Hyderabad, Kolkata and Pune later in the year. The promotion plans for 2017 also include joint promotions with international partners and a digital marketing campaign targeting potential Indian travellers. Sri Lanka received a 12.8 per cent increase in Indian tourist arrivals in 2016 and are expecting an even better double digit increase in 2017.